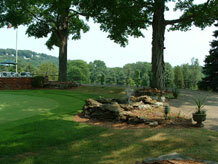 Lake Mohawk Golf Club is a private member owned golf club located in Sparta, NJ. 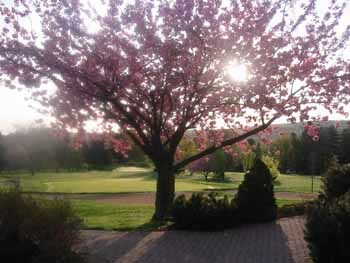 The golf course is located at the base of a mountain ridge and overlooks Lake Mohawk, the second largest body of inland water in New Jersey. The Clubhouse, originally constructed in 1934, totally rebuilt in 1993 and expanded in 2006, sits on a knoll in the center of the golf course. The golf course was created in 1928 on property that covers 126 acres including the steep adjacent woodlands, affording the golfer spectacular scenery in a quiet environment. The lush bent grass fairways lead to greens that Touring Pro’s have characterized as equal to those experienced on the PGA Tour. Practice facilities include a driving range, chipping and sand practice areas as well as two putting greens.